Nick Kossatch is the sports editor at The Observer. An active sportsperson himself, he's passionate about the subject and hearing about people's sporting achievements in the community. SAILING: It came as no surprise. Black Jack surged to the finish line in the early hours of Easter Saturday morning to win line honours at the QantasLink 70th Brisbane to Gladstone Yacht Race. The 100-foot mono-hull Reichel-Pugh 100-constructed boat smashed the previous record by three-and-a-half hours. Black Jack did the race in 16:53:37 hours and surged ahead making use of a consistently blustery south-easterly to also finish third in ORC 1, third in ORCi Overall, fifth in IRC O and sixth in IRC Overall. Ichi Ban finished second in line honours and completed the 308 nautical mile race in 19:36:42 hours. The Matt Allen captained boat was first in all of the other categories. "Definitely the fastest race from Brisbane to Gladstone in the 70-year history and I mean with two boats beating the race record in incredibly fast conditions," Allen said. "We've had a fair bit of rain, some really bumpy seas and a lot of wind and the boats just kept on sailing so quickly up the race course." Allen said it was an incredible feeling to be in Gladstone just after 6.30am on Saturday. "The crew on our boat did a great job and we had a little malfunction where we broke one of the spinnakers early on in the race where the tack of the spinnaker blew up coming through a wave," he said. "That was pretty unfortunate, but the crew put the next sail up pretty quickly and it really didn't affect us very much as it turned out." Black Jack owner Peter Harburg suffered a graze to his leg when a rogue wave swept over him as the yacht passed Maroochydore. "I copped a big wave at one stage and it took my hat, took my glasses and took everything and we found these lying on the deck a few minutes later and I was very lucky," he said. Despite the mishap, 76-year-old Harburg said it was a short, but hard race. "We had a few big seas coming up Fraser Island, but it was better when we turned around at the top and across," he said. "That is very fatiguing because you have got to press as hard as you can and if you can over do it, you can lose the boat. "No one hardly got any sleep and the crew were fantastic and to go for 14 hours or something under a lot of pressure in very difficult condition and they did it magically." Black Jack skipper Mark Bradford said it has been a long-term aim and something his crew can be proud of. "This is our 10th year of doing these races and all of the people that have been involved in the 10 years that should take credit for this," he said. "It was all pretty much straight forward really and I mean when the wind got up, they were all prepared and there were no dramas for us." Event director Nigel Statham was tired but overjoyed and he said that the records set was not unexpected. "To be honest, we sort of did actually and you know the weather models has stayed fairly static for a couple of days," he said. Statham said Black Jack had threatened to cross the line even earlier. "At one point we were even talking maybe five hours, but they have done well and have got a record that's going to last for quite a while I think," he said. "I think it's almost a relief and they have been trying so hard and for a couple of years they have come really close. "To see them not quite get there at the end, you sort of feel quite sorry for them and to actually see them do it so well, it was really pleasing to see." When asked as to why Statham does what he does, he replied because of the challenges that the sport brings. "It's something out of the ordinary and it's just a great thing to be involved with," he said. 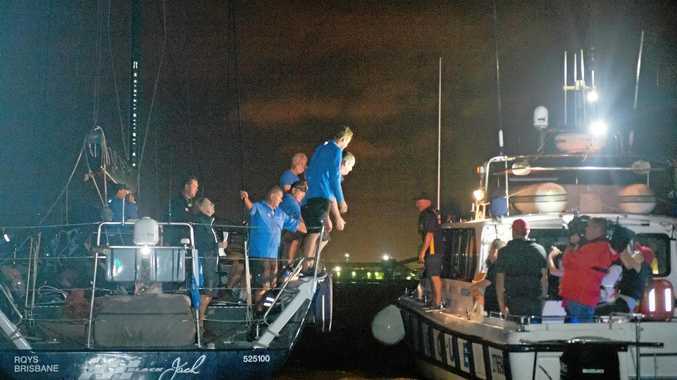 Among the unpredictable things in sailing is the weather and with ex-Tropical Cyclone Iris hovering off the Queensland coast, Statham said there was some cause for concern. "We were looking at it pretty carefully and it's a significant low, but it's moving north and it's moving north faster than what the boats are essentially," he said. "There were some strong winds when we started, but that has now disappeared. "There were some worried faces for some 24-hours beforehand, but I think it's going to look good now." 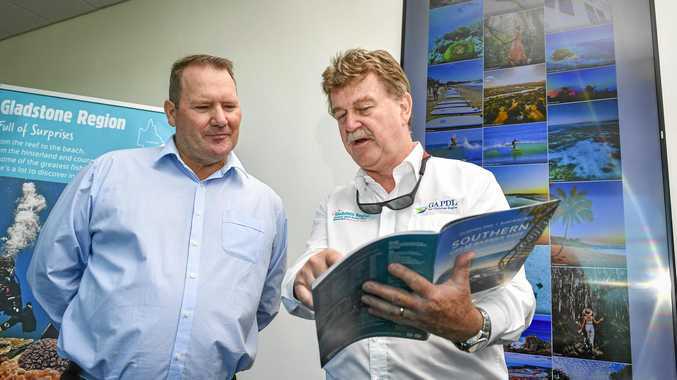 News Gladstone Airport and GAPDL team up to boost drive and air tourism numbers. News Man in hospital after near-drowning incident. News Public holiday penalty rate cuts in the crosshairs of candidate.